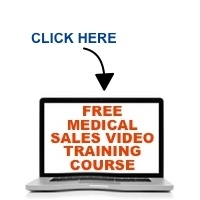 Medical Sales During an Economic Downturn…What Should You Do? Whether the economy is good or bad, people will always need health care, but the current economic conditions have some medical sales reps crying the blues while others are having their best year ever. Much of it depends on which segment of the market you sell in, but either way, there are things you must do and continue to do if you want to survive and thrive. In this episode of The Medical Sales Guru Podcast, medical sales speaker Mace Horoff discusses a few best practices to get through these challenging times.